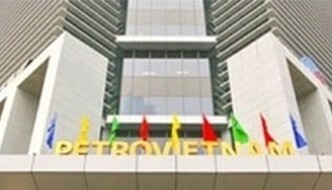 Restructuring at Vietnam Oil and Gas Group: Practical, streamlined and effective! To implement Resolution No. 12 of the 5th plenum of the 12th Party Central Committee on continuing to restructure, innovate and raise the efficiency of State enterprises; Resolution No. 18 of the 12th Central Committee of the Party Central Committee on "Some issues on continuing to renovate and organize the apparatus of the political system, streamlined, effective and practical"; to effectively implement the targets set by the Politburo's Resolution 41-NQ/TW on "Development strategy of Vietnam Oil and Gas Industry up to 2025 and vision of 2035", PVN’s restructuring and arrangement of apparatus in a streamlined and efficient manner was drastically implemented by the Group’s Party Committee, and Members of the Board which received very high consensus in the whole political system of the Group. In parallel with the restructuring of the executive apparatus, PVN also arranged personnels to departments and offices in accordance with their abilities and experience, based on the … [Read more...] about Restructuring at Vietnam Oil and Gas Group: Practical, streamlined and effective! 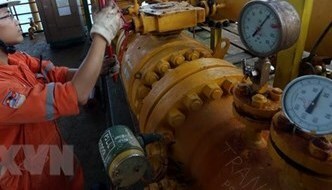 Will Vietnam exploit more oil for higher GDP growth? VietNamNet Bridge - The report on the GDP growth scenario of Vietnam in 2018 does not include the strengthening of oil exploitation, which had been expected. The world oil price saw strong recovery in the first months of the year The world oil price saw strong recovery in the first months of the year. In May, the Brent oil price, for the first time in the last four years, climbed to $80 per barrel. The price decreased later, but only slightly, now hovering around $76.44 per barrel. Will Vietnam consider strengthening oil exploitation to take full advantage of the oil price hike to boost growth? In mid-2015, the exploitation of more oil to ensure GDP growth was put forward at the National Assembly’s session. Vietnam’s GDP growth rate then was at a half-decade high. At the same time last year, at the National Assembly’s third session, the government proposed to exploit one million more ton of oil to gain the targeted growth rate of 6.7 percent in 2018. The … [Read more...] about Will Vietnam exploit more oil for higher GDP growth?